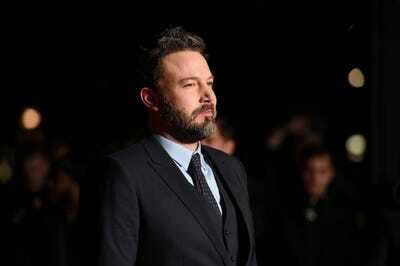 Actor Ben Affleck responded to a New Yorker article about his “great sadness” and back tattoo. Affleck said he was “doing just fine” and had thick skin. Affleck has recently been the subject of talk online, which has centered particularly around his back tattoo of a phoenix. The tattoo had long been rumoured to exist after his ex-wife Jennifer Garner commented on it in 2016, but pictures emerged earlier this month that displayed it to the world (Affleck had once claimed it was a temporary tattoo for a movie). The New Yorker article highlights Affleck’s successes – Oscar wins for writing “Good Will Hunting” in 1998 and best picture for “Argo” in 2013 – before diving into his “despondent” look in recent viral photos. “These depressed-Affleck images can arouse both amusement and a sense of poignancy, a touch of Schadenfreude as well as something like sympathy,” the article says. The New Yorker concludes by contending that the “sad” image of Affleck on a beach in Honolulu, “gargantuan” tattoo clearly visible, represents his “fall” – and not just his. Affleck seems to think The New Yorker might be reading a bit too much into it.